Moses supposes his toes are roses, but Moses supposes erroneously. Oh what a better film that was than this one! But we can’t spend all day singin’ in the rain. 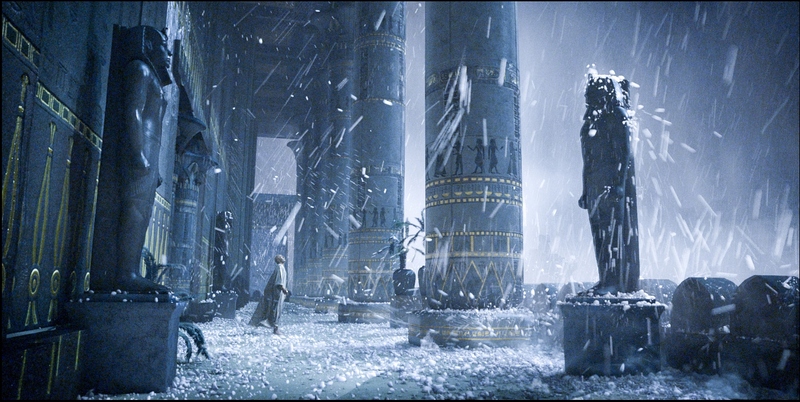 Occasionally we need a big religious epic with plenty of eyeliner. It’s just a shame that was the best aspect of this one. I vaguely remember learning about Moses and the plague in primary school. Moses talks to a bush, there’s a bunch of plagues, first-borns die, and then he parts the red sea. So just your average guy. We can try to make sense of the story, but it’s honestly just a bit hard when God seemingly plays the role of child-killer. Some may use this film as a teaching resource for its bible story, but for most it is probably just an epic with some cool battle scenes. Though the action scenes are entertaining, you certainly feel the 150 minute running time of this film, and I almost fell asleep a quarter of the way in. Suddenly Moses was getting married and I was confused. But then the crocodiles woke me up. I don’t remember learning about them in R.E. But I may have been asleep then too. 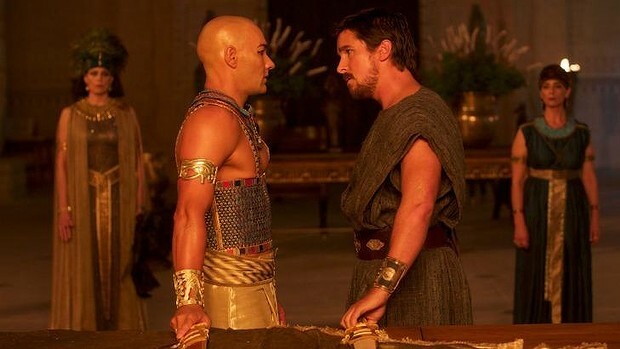 Christian Bale was a major drawcard for me, but unfortunately, he just isn’t that compelling here in the role of Moses. Who knows who could have pulled it off if he couldn’t. 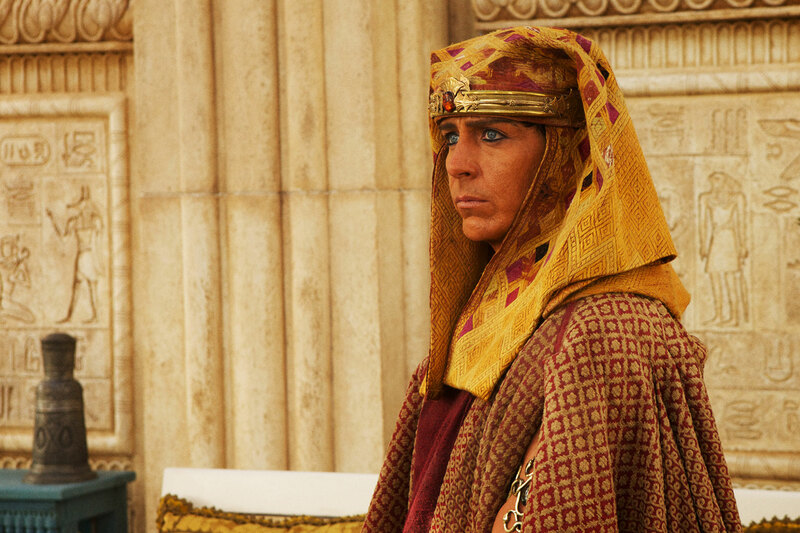 Joel Edgerton is slightly more engaging as the Pharaoh, Ramses, though even when his baby died I just couldn’t bring myself to care that much. I have cried at way less but there was absolutely nothing emotive in this film. I expected that moment to be devastating but somehow it was barely affecting. Ben Mendelsohn as usual was the highlight as Hegep, but his screen time was woefully scarce. He looked absolutely gorg in his eyeliner. I LOVE HIM. The sets and costumes were sublime, and it’s incredible to imagine that there could be so much beauty without technology. The effects were also impressive, but the parting of the red sea was disappointingly underwhelming. It didn’t part so much as slowly dry up until a big wave appeared out of nowhere. If we’ve learnt anything from this film, it’s that men can most definitely pull off eye-liner. So let’s please get the ball rolling on that one.